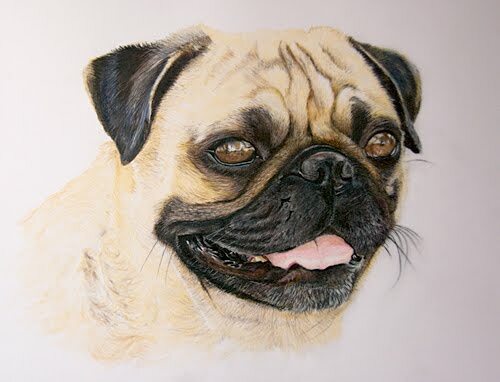 Step by step Pug – coloured pencil on drafting film. I have fingers in lots of different pies at the moment, one of them is just finished and will be my second piece for college assignment 3… so I thought you’d like to see. I fancied having a go with drafting film that after seeing the results that Karen Hull gets with the same medium. 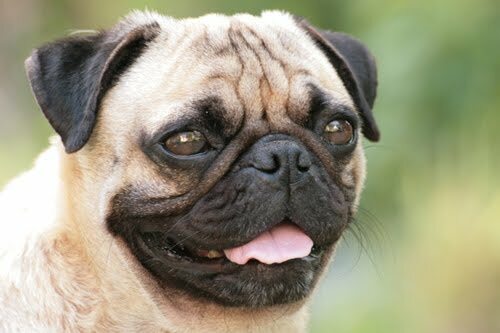 I thought I’d have a change from cats as the brief asked for ‘an animal with it’s tongue hanging out’ and since I don’t have any shots that would suit, I mooched through Morguefile and found this great shot (royalty free) by Mary Vogt of Cubby the Pug. 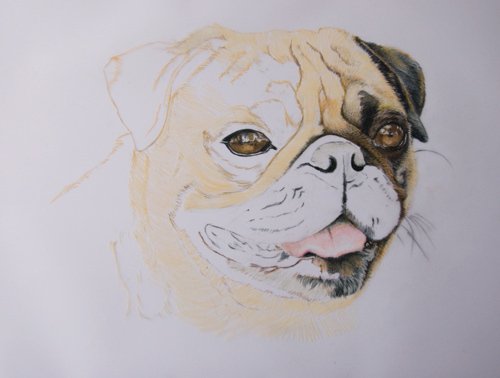 I love his little face with all its wrinkles and I thought that is would make a great display piece for my up coming dog show – Just dogs live! (more of that later). So drafting film! Well it’s strange stuff – opaque, very smooth and very slippery. It’s like drawing on several layers of greaseproof paper. One thing I learned quickly is that you must use something to rest your hand on as it can become grubby very quickly. I used a sheet of bristol board underneath the film so that I could see what I was drawing. 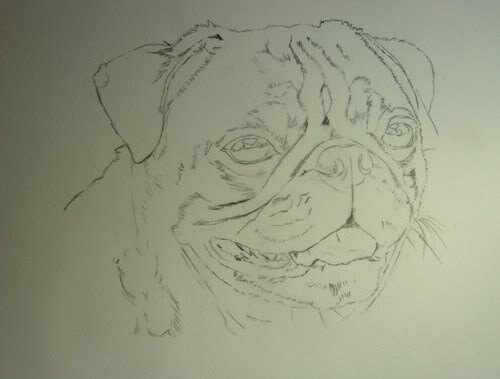 At this stage I wasn’t sure how much of the pencil layer would be visible under the coloured pencil (CP) so I used a light gray CP to draw the outline – hoping it would blend. As ever, I started with the eyes. The CP went on really easily, but I soon found the limit to how many layers the film will take. Because the pigment stays on top of the film you soon find that after a while you are simply pushing the colour around. However, once you get used to that you can get some nice blending effects and a fair depth of colour. I think that softer pencils would definately be an advantage here. 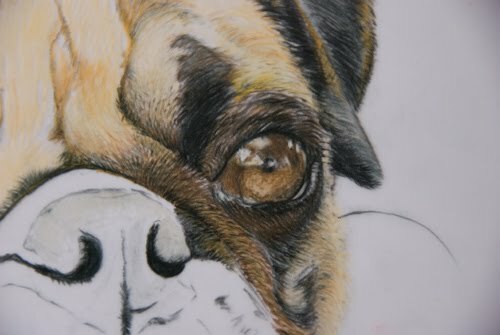 In this close-up of the eye you can see a light brown spot at the bottom where the pigment has started to shift around, but I like the effect so I have left it. Agian this is one of those pieces where I found that graphite was great for adding the top layer of detail. 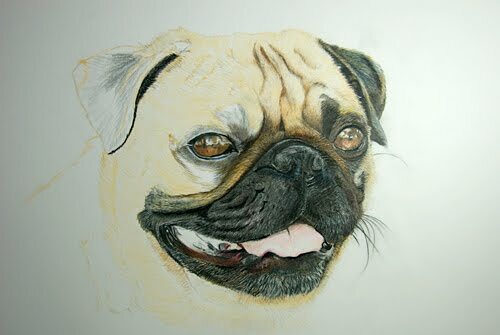 In the next shot below, I have completed the under layer of colour and have started to add the detail on top. I found that using a sclapel to scrape the pigment from the film was much better for whiskers than shrarp white pencils. Eventually we have the finished portrait…I think. I’m not sure whether to add greenary to the background or leave it as a study.